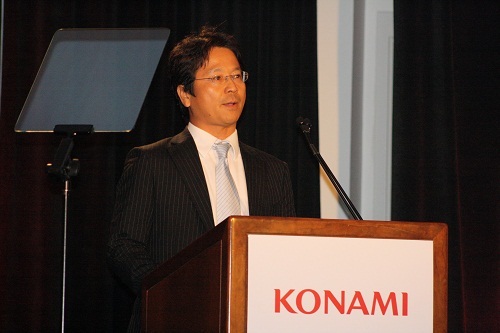 Earlier this week, Konami announced that Shinji Hirano will become the new head of the company's European operations. “I am keen to support the diversity the European territories offer, and looking to ways our business can best support the different tastes and opportunities they possess,” he said on the announcement. Hirano, who was previously the president of the publisher’s US label, takes over from previous EU head Kunio Neo. The new chief’s objectives will be to ” institute strategies” around main IPs Metal Gear Solid, Pro Evolution Soccer and Castlevania, as well as mobile and social gaming and the trading card area of the company.